Prices are per person, as a group tour or private tour. Private tours require a minimum of 2 passengers and departure times are flexible. Not available on Mondays for Gorup/regular services. 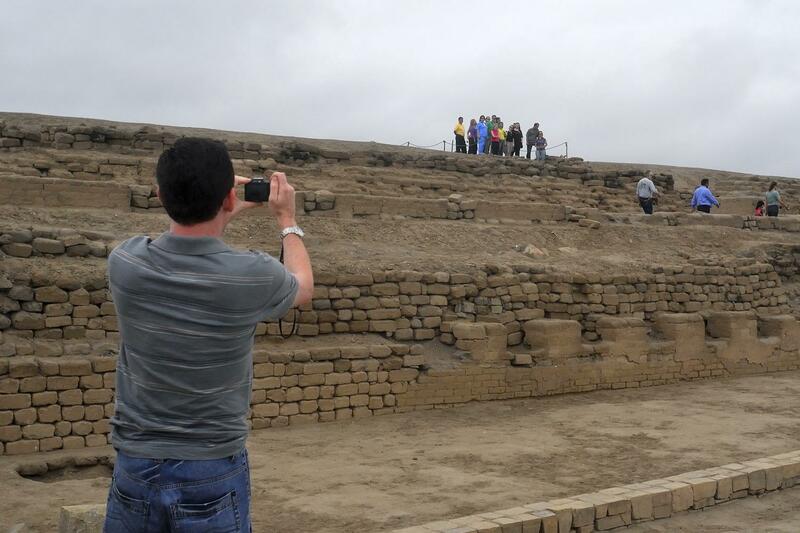 In the morning we will set off for the archaeological sanctuary of Pachacamac which is located at only 30km south of Lima. Adobe made and overlooking the ocean and the Lurin River Valley, this was the center of pilgrimage for many of the cultures that inhabited Peru in the past. When the Incas arrived, the complex was adapted as an administrative center, respecting the local constructions. See the Temple of the Sun, the Acllahuasi, the Taurichumbi Palace, and the Pilgrims Plaza, among others. We will also visit the In-site Museum to have a better understanding and see the remains found in the area. 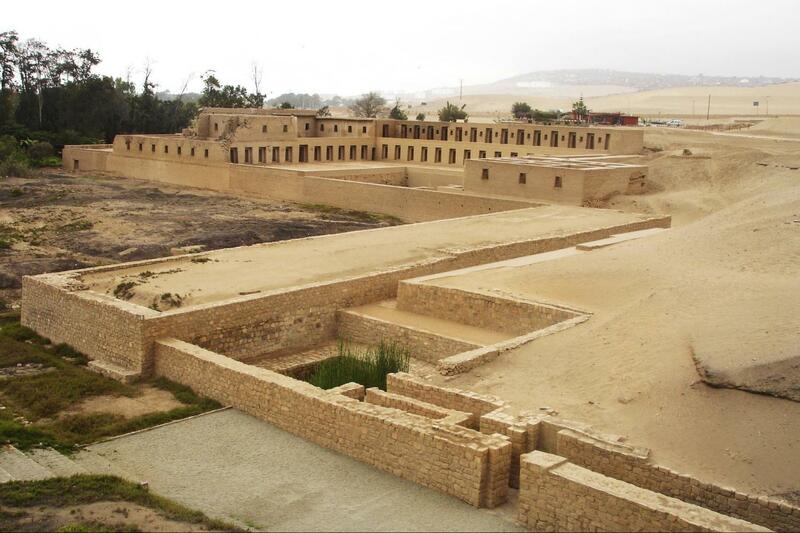 We will visit the Archeological Sanctuary of Pachacamac, just 30 kms. south of Lima. It was built in adobe with view to the sea and the Lurin River valley. 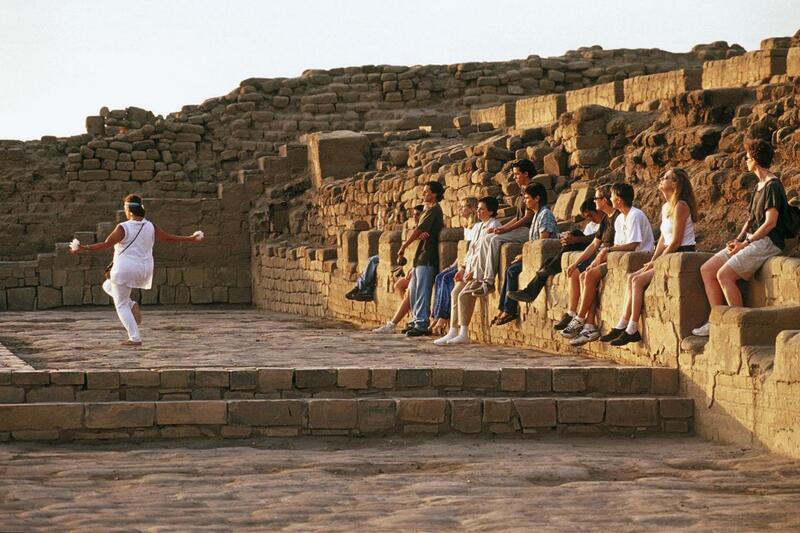 It was a pilgrimage site for many cultures that developed in ancient Peru. Upon arrival of the Incas, the complex was adapted to become an administrative center, respecting and adapting the local constructions. You can find there the Temple of the Sun, the Acllahuasi, the Palace of Taurichumbi, the Pilgrimage Plaza, among others. We will also visit the Site Museum to get a better insight and appreciate the salvaged remnants of the area.